Defence Turkey: Dear Mr. Kesici, first of all we would like to thank you for your time. Could you briefly inform our readers on the Directorate General of Civil Aviation’s main areas of activity, its duties and responsibilities? With the amendment made on the law in 2005, our Directorate General was transformed into a special budgeted administration and it has been conducting its activities connected with the Ministry of Transport, Maritime Affairs and Communication as a governmental authority entitled to regulate and supervise the civil aviation industry as well as applying sanctions. Identifying the rules containing the international requirements that should be abided by the airline operators, launching the legislation and legal regulations and supervising the alignment of the operators’ activities with these rules and regulations are considered amongst the main responsibilities of our Directorate General. The authorization and licensing of all operators in the Civil Aviation industry, registration of air vehicles, accreditation of associations, supervision of air vehicles in respect to safety and airworthiness, certification of air vehicles and parts are being conducted by our Directorate General. All the operators within the scope of the industry, the airlines, air taxis, ground service associations, airporter operators, cargo agencies, maintenance organizations, training associations being in the first place, are subject to the legislation and supervision of our Directorate General. Moreover, all the processes linked with the civil aviation industry; the execution of bilateral agreements with the authorization of domestic and international flights and our country’s membership in the international civil aviation organizations fall under the scope of our responsibilities. As a governmental authority determining the rules of the aviation industry, their implementation and supervision, our main goal is to enable the alignment of the aviation activities in our country with the flight safety and aviation safety requirements within the framework of the standards stipulated by the international organizations of which we are a member. Defence Turkey: How do you assess Turkish Civil Aviation on global scale considering its pros and cons? What are your views and comments? As known, within the scope of the Regional Aviation Policy launched in 2003, civil aviation activities became open to the private sector and great progress was achieved with the help of the resulting competitive environment. Since that date, our civil aviation has been growing each year with two-digit figures. Today our country has become one of the countries that contributes the most to the growth rates of both the European and overall worldwide aviation industry in respect to the increase in passenger and aircraft traffic. We are among the top of the list not only considering industrial growth but also in respect to the implementation of international standards and service quality. During the supervision conducted by international associations, in addition to our success in the implementation rate of the alignment with global aviation standards, our country is one of the European countries with the lowest rate of findings during the air vehicle safety inspections. With our quantitative and qualitative achievements in aviation, we are considered to be a model for other countries and we have been organizing training in accordance with the protocol signed with the ICAO as part of our process conveying our experience in this area to the countries in our region. With our memberships in the international organizations and our assignments in the decision-making mechanisms, especially our ICAO General Council Membership, Turkey is becoming a country that is regarded with admiration by the world on global scale and at the same time our country’s prestige has been increasing each day within the scope of the global aviation system. Without a doubt, there are still certain points that need to be improved and we have been working on them as the aviation industry is a global industry that involves competition with others while at the same time competing with oneself. Therefore, it is compulsory to proceed on the path with proper strategies that are in accordance with this boundless character of the civil aviation. Defence Turkey: Regarding airline passenger and cargo transportation, it seems that the number of aircraft in Turkey increased over 200% within the last fifteen years and went over 500 while the number of passengers and cargo capacities have been constantly increasing concurrently. What is your vision for 2018 following the brief stagnation we went through in 2016 and upon the launch of the New Istanbul Airport? Civil aviation in our country has entered a specific period as a result of the policies that have been implemented since 2003. The vision of our President Mr. Recep Tayyip Erdoğan, and under the leadership of our Prime Minister Mr. Binali Yıldırım and the management of our Minister Mr. Ahmet Arslan, our industry has achieved a constant two-digit growth rate. Without hesitation, the deregulation and marketization attempt of our government with policy in accordance with the motto of the “People’s Airlines” paved the way of the growth in our industry, the number of aircraft in our airlines increased by 215 percent, the seat capacity increased by 249 percent, cargo capacity increased by 517 percent and the number of domestic and international flight points reached 360. The passenger and aircraft traffic data of the first quarter of 2018 indicate that we are the second country contributing most to European air traffic. Our airports are increasing the number of passengers mostly in Europe in January maintained the same success in February and reached the peak of European aviation. These developments indicate that the year 2018 will bring a new momentum to the growth of our civil aviation. Our New Istanbul Airport will be launched into service on 29 October 2018. The capacity problems endured at Atatürk Airport will be bypassed henceforth and we rely on the fact that this development will accelerate the growth of our civil aviation in the years ahead. The projections of international aviation associations are also steering in this direction. It is noted that our country will become one of the top 10 markets in respect to the world’s domestic flight passenger numbers within the next twenty years. It is foreseen that our country will enter the world’s top five countries considering the growth rate. Therefore, 2018 will be a turning point for our civil aviation with the launch of the new airport and we will take the first and most critical step towards achieving our target of becoming a global hub in aviation. Defence Turkey: As you also mentioned, the launch of the first phase of the Istanbul New Airport in the 3rd quarter of 2018 (29 October 2018) is expected. Could you please share the latest status of the activities that have occurred under your responsibility in this regard? All activities regarding civil aviation composed of the authorization and licensing of operators, certification of the airport, aviation safety and cargo operations throughout the moving process are being conducted under the coordination of the relevant institutions and associations. In addition to the “Readiness for Service and Airport Transfer” (ORAT) meetings, the preparations are in progress and are being executed by different working groups under separate titles regarding authorization, licensing, safety and security issues. While the legislation and required legal regulations are being launched, the training sessions are being conducted by the airport operator for the new airport for the aviation staff. Our Aerodromes Department has been uninterruptedly continuing their examinations regarding the alignment to international aviation standards. We held a workshop on Cargo and Postal Formalities in the beginning of April and within this scope, we evaluated logistical issues and certain points regarding the new airport. We have been conducting a far-reaching study ranging from the launch of the Istanbul New Airport to the status of the warehouses at the Atatürk Airport. In addition to the activities executed under the auspices of our Ministry, we have been conducting our activities by taking into consideration all the demands, especially of our industry in this area, with all relevant institutions and organizations, the National Police and the Ministry of Customs and Trade in particular. Defence Turkey: Mr. Kesici, it seems that upon the 36 civil aviation negotiations that you conducted in 2017, the number of countries that Turkey made air transportation agreements with increased to 169. Which new countries and new frequencies will be added to these agreements in 2018? Could you please inform us on this issue? Similar to our government’s vision, that reads “Each Turkish Citizen will board a plane at least once in his lifetime” and in line with our Ministry’s objective of “We will fly to all destinations around the world”, we made bilateral aviation agreements a top priority of our aviation policy. In accordance with these goals, the number of bilateral aviation negotiations we made in the last fifteen years exceeded 500, adding new flight points to our flight network and achieving an increase in the number of flights. These agreements brought us the worldwide records we achieved in respect to the number of passengers and aircraft. Our international flight network reached over 300 points in 122 countries. We accomplished negotiations with 36 countries last year and we will continue these negotiations at full steam this year as well. As of April 2018, civil aviation negotiations with Iran (30 frequencies, 3 points), Democratic Republic of Congo (28 frequencies, 6 flight points), Uzbekistan (10 frequencies, 3 flight points) and Ukraine (420 frequencies, 4 flight points) have been executed and a total of 488 frequencies and 16 flight points have been added to the existing agreements signed with the aforementioned countries. Our activities to finalize the Air Transportation Agreement (HUA) with all member countries of ICAO (192 members including Turkey) have been continuing within the scope of our goals and we aim to increase the number of countries that we have agreements with to 172 by signing contracts with three more countries in 2018. Our attempts to execute negotiations continue with countries for which the existing regulations fail to fulfil demands (especially China, India, Russia and all Central Asian countries). Moreover, we are willing to conduct negotiations with over 35 countries that have confirmed participation in the Turkey – Asia Civil Aviation Conference which will be held on 23 - 24 April 2018 in Antalya, hosted by our country, to review our existing relations. Finally, by attending the ICAN Conference organized every December by ICAO gathering the member countries and other participating countries to hold bilateral aviation negotiations, we plan to accomplish negotiations that are critical for our airlines. Defence Turkey: You mentioned that you have officially invited civil aviation authorities of 192 countries to Turkey. How many countries are you planning to negotiate with, could you please inform us briefly on the activities conducted for this event, the content of the organization and your expectations from this conference? We will be carrying out negotiations with over 35 countries which have confirmed their participation in the Turkey - Asia Civil Aviation Conference to develop our existing relations. Additionally, the other participating countries will be able to negotiate with each other. Many esteemed figures leading today’s civil aviation, especially ICAO Council President Olumuyiwa Benard ALIU will be attending the event. This conference will be a crucial platform for building regional and global cooperation and partnerships in aviation between Asian countries. According to the 20-year projection of IATA, China, USA, India, Indonesia and Turkey are projected to be the markets with most rapidly increase in the number of passengers. The growth projected for the Asia–Pacific region and Turkey’s existence in the world’s fastest growing five markets are of vital essence in respect to this conference. This conference is regarded as a strategic step towards the cooperation of Asian countries in the global aviation market and it offers a great opportunity for the realization of the projections that I mentioned previously. In addition, through support of the Eurasia Airshow which will be held during the same week, our objective is to contribute to tourism and the promotion of our country’s aviation potential. We will conduct a critical panel at an international level in which experts will participate as panelists who will discuss the latest developments in the world, challenges and deficiencies within the industry. Defence Turkey: As the only institution authorized in airworthiness and certification of the Fixed and Rotary Wing Platforms manufactured indigenously in Turkey, what are your responsibilities and duties in this area? Authorized by Law No. 2920 and Law No. 5431, our Directorate General identifies the airworthiness and noise standards allowing the utilization of the airframe, engine and propeller and other hardware of the air vehicles manufactured in our country in civil air vehicles. Authorization of operators running the design, production, maintenance, repair, overhaul and retrofit services in line with the identified standards and their inspection are amongst the responsibilities of our Directorate General. Our other activities such as the preparation of relevant documents, their approval, renewal of authorization and their cancellation when required and tracking of registries are being executed within this scope as well. Defence Turkey: The type certificate for the first Turkish Trainer Aircraft “Hürkuş-A” manufactured in Turkey and certified in the international arena was granted to TAI in 2016. Could you please inform us on the latest status of the activities conducted as part of TAI- T625 Multi-Role Helicopter Project under development process, Aselsan’s avionic device certification and İTU – TAI Ultra-Light Aircraft design project’s certification? Within the scope of the T625 Multi-Role Helicopter designed by TAI, and in accordance with the CS-29 Certification Specification and ICAO Annex 16 requirements, activities for the discussion formed based on the air vehicle sub-systems continue. Our related expert staff have been continuing their inspection activities in line with the identified legislation throughout the discussion meetings and have been transferring their findings to TAI staff. A comprehensive meeting on the certification of avionic devices was held with Aselsan. Aselsan has been informed on the items that needed to be addressed in accordance with the requirements stipulated by the regulations for the company’s authorization as the Alternative Design Organization and Production Organization. Regarding the İTÜ-TAI Ultra-Light Aircraft Design Project, a kick-off meeting for the Project was held at our Directorate General with the participation of the representatives of İTÜ and TAI. Defence Turkey: You recently published a guideline on the Parts and Device Certification in Aviation. With this document that aims to establish a systematic discipline in the industry regarding the design of parts and devices, a new era has started in Turkey. What do you plan to achieve through this document? Through this document, we aim to render the regulatory requirements more comprehensive and therefore extending production activities regarding aviation to a broader scale within our country. With the help of the PACE (Parts and Devices Manufacturer Inventory) Module that we formed, we plan to form the inventory by registering the companies that are active in production for aviation. With this inventory, the companies authorized by our Directorate General will be able to select from a sole data repository of sub-contractors and real-time monitoring of the development of our aviation potential will be enabled. Defence Turkey: Technical conformity of Unmanned Air Vehicles, the flight permits according to their categories, and the registration and tracking system for Unmanned Air Vehicles around 500gr – 25kg are being conducted by the Directorate General of Civil Aviation. Could you please inform us on the activities conducted within this framework and on the new regulations? In line with the Imports Communique No.2018/1, our Directorate General has been granting technical imports conformity for Unmanned Air Vehicles (UAV) imported to our country with the status of air vehicles (Customs Tariff Statistical Position starting with Article 88). In this way, citizens or companies are enabled to import UAVs from the Customs Directorates in our country. Additionally, as per the Article 144 of Law No.2920, UAVs with a maximum take-off weight of 500gr and over should be registered. Therefore, registration system software was accomplished and UAVs with up to 25kg of maximum take-off weight are being registered via iha.shgm.gov.tr. Again, the flight permits are being granted over the system via coordination with relevant governmental authorities. Those with a maximum take-off weight of 25kg and over get registration marks similar to Civil air vehicles and then get registered. Our activities regarding the UAV tracking system continue and we are updating our UAV legislation in accordance with global developments as well. Currently, we are conducting our activities in this area by examining technologies that are being used in the world in this particular area. 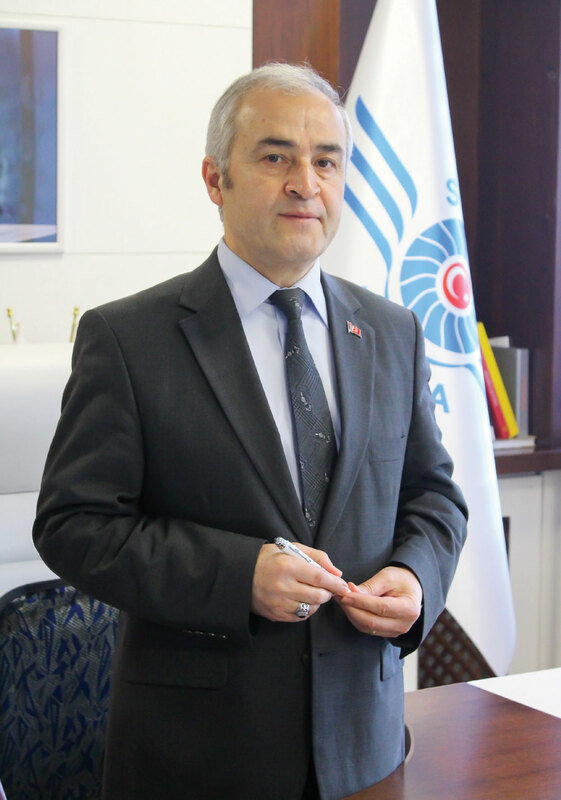 Defence Turkey: Mr. Kesici, one of the most crucial projects executed by the Directorate General of Civil Aviation is the Turkish Civil Aviation Academy (TSHA) Project. The construction of the Academy was launched in 2016 and the Academy was inaugurated on April 20th. Which deficiencies do you intend to eliminate in Turkey as a direct result of opening this Academy, considering its academicians and administrative staff, curriculum and certification training? Could you please share your evaluations with us? We inaugurated the Turkish Civil Aviation Academy on 20 April 2018 with the participation of our Minister of Transport, Maritime Affairs and Communication Mr. Ahmet Arslan. This is a project funded by the EU as part of the ‘Increasing the Administration Capacity of the Turkish Civil Aviation regarding Safety and Security Training Requirements Project’. All the tender processes of the Project with a budget exceeding approximately 11 million EUR were conducted by the Central Finance and Contracts Unit. Aviation Training in accordance with international standards aligning with the EU Acquis will be provided. We laid the foundation of this center on 7 September 2016 at the property of the Atatürk Airport and the center was equipped with the most modern facilities and training devices. Our training center with its capacity of training two thousand domestic and foreign students annually will be a pioneer in respect to civil aviation training in the Middle Eastern, African and Asian countries. In order to train 60 instructors who will be employed at the Academy, “instructor training” courses were provided. Moreover, a requirement analysis was made for the courses to be provided at the training center and training material was prepared. This training center bears the character of a door that opens our country to the world as trainees from all around the world will be attending the classes and it will promote our country as well as our civil aviation industry. Defence Turkey: We observed that in 2016, the number of personnel employed by the aviation industry reached over hundred and ninety thousand. The increasing number of airline companies active in the industry in addition to the increasing infrastructure and fleet investments, we witness this industry’s rapid growth to be on a global scale. Within this scope, what is the Directorate General of Civil Aviation’s approach and strategies to create a well-educated, trained and qualified labor force? Do you have any encouraging implementations and activities geared toward increasing the main branches regarding civil aviation especially within universities? Fulfilling the requirements and expectations of the aviation industry and catering to the increasing demand for qualified staff are among the key factors of aviation. The total number of staff employed in the aviation industry in our country has triple since 2003 and has reached 200 thousand while the number of our pilots increased to 10 thousand and the number of our technicians reached 4 thousand. In addition to the pilots and maintenance staff, 1,597 Air Traffic Controllers, 398 Flight Dispatchers, 545 Air Traffic Safety Electronic Personnel are operating in the industry. Especially the demand for these licensed staff has been increasing every day as our aviation industry grows. Starting from this point, we signed a protocol with the Council of Higher Education (YÖK) in November 2012 regarding aviation training and fulfilling the demand for qualified human resources. We made a comprehensive Cooperation Agreement that ranges from opening relevant branches at universities in a way that comprises all the areas of civil aviation and preparing the curriculum for specialization and industrial analysis studies. The aviation industry is preparing for a new employment boom with the new airport. Projections have been made of employment for 100 thousand people as the first phase of the third airport is completed and employment of 225 thousand people will be reached when full capacity of the airport is achieved in 2025. With the training we will provide with our universities at the Civil Aviation Academy, we also strive to contribute to fulfilling this increasing demand for qualified labor. Defence Turkey: It seems that our country’s success in the area of Civil Aviation has paved the way for it to assume active roles in international organizations such as ICAO and ECAC, giving our country a voice in worldwide civil aviation. Could you please inform us on these international organizations, the activities you have been conducting to this end and the tasks you assumed? First of all, Turkey is amongst the founding members of the ICAO and was selected to the General Council Membership of ICAO in 2016 due to its growth in aviation. Turkey’s contributions to the global aviation system and its regional cooperation activities have generated notable success. We have a voice among the decision-making authorities of global aviation. We are also amongst the founding members of ICAO’s regional (Europe) organization of the ECAC. We also conduct the Vice Presidency of the ICAO Europe North Atlantic Regional Aviation Safety Group that has 57 members, which supervises the implementation of decisions adopted by the ICAO regarding aviation safety in Europe. We are a member of the EUROCONTROL with 41 members in charge of developing European air traffic management and security and we are the Vice President of the D-8 Countries Civil Aviation Commission. Additionally, we are a member of the JAA –TO which was established in order to fulfill the requirement of maintaining European aviation safety. In addition to these associations, our cooperation continues in line with the protocols we signed with the EASA, ACI and IATA. Defence Turkey: The Eurasia Air Show will be taking place this year in Antalya for the first time on 25 - 29 April 2018. Many local and international aviation companies will be displaying their air vehicles both at the static area and at flight demonstrations as part of this event. What type of support are you providing to this Air Show as the Directorate General of Civil Aviation? 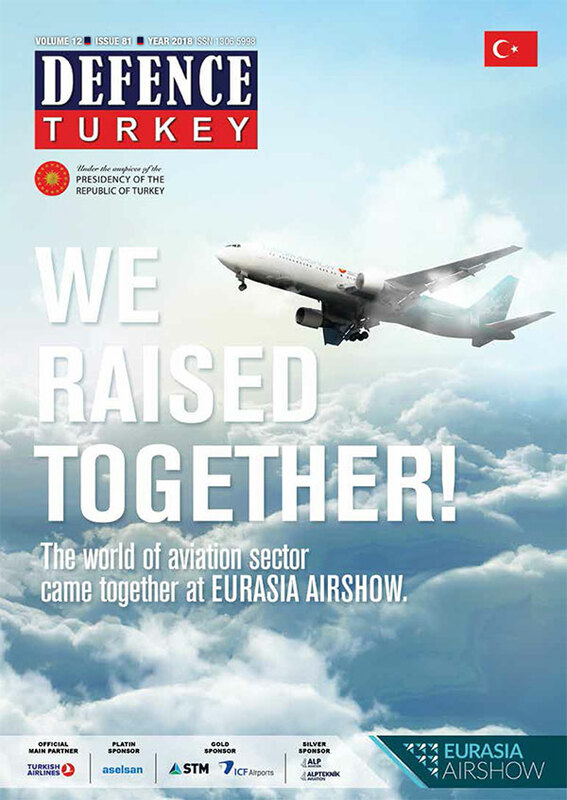 Similar to every event that will support global recognition of Turkish Aviation, which has been rapidly developing in recent years and that will allow new market opportunities to the Turkish Aviation Industry, we also support the Eurasia Air Show event. In line with our Minister Mr. Ahmet Arslan’s directives, the Turkish - Asia Civil Aviation Conference will hold in order to open the doors of the developing Asian markets to the aviation operators of our country, has been planned prior to the Eurasia Air Show with the thought of a potential mutual synergy. Representatives at the level of Ministers, Deputy Ministers and General Managers from approximately 40 countries and the Council President, Executives of the ICAO and major names of the worldwide civil aviation will be attending the Eurasia Air Show 2018 after our conference and will thus contribute to this grand aviation exhibition. In addition to our support in respect to tourism and the promotion of our country, the announcement of the Eurasia Air Show to the international public and increasing the number of the participants, we will also be holding SHGM conferences as part of the Eurasia Air Show. Defence Turkey: As the Directorate General of Civil Aviation, you will be broadly participating in the Eurasia Air Show. Which type of events and workshops do you plan to hold that are specific to this organization? Within the scope of the Eurasia Air Show 2018, as the Directorate General of Civil Aviation (SHGM) we will be holding a series of events which will be accomplished in an effort to create professional and social access and awareness and we believe that it will attract great crowds. Under the title of the SHGM Conferences, we will be holding a series of conferences which will last throughout the day, each day during seven sessions topics will be addressed regarding the most frequently asked questions in civil aviation. Subjects and procedures that are most inquired about by industrial associations, professionals and aviation fans will be shared with the participants directly by the authorities. The topics will consist of many subjects such as; Turkish Civil Aviation Training Center, How to be a Pilot?, How to be a Cabin Attendant?, What are the Health Requirements for Being a Pilot?, 147 Recognized Schools, How to be a Sub-Contractor of the Design and Production Organization?, 145 Maintenance Organization Notification, Effects of the Aviation Industry to the Environment and the Measures to be Adopted, Air Vehicle, Power Group Certification, Parts/ Device Certification, UAV Registration System and Flight Permit Process, Cyber Security in Aviation, Control of the Constructions around the Airport as part of the Airport Mania Plan and Removal of the Obstructions, Air Navigation Systems and Obstruction Criteria. Our series of conferences that we believe will be the first and taking a notable place in Turkish Organizations can be followed at the SHGM’s Conference Hall at the stand of our Ministry. Defence Turkey: Mr. Kesici, finally do you have any messages for the readers of Defence Turkey? Turkey’s greatest potential in aviation is without a doubt the advantage it has due to its geographical position and additionally due to its high tourism rate and demographic potential as well as its increasing business and trade volume in parallel with its speed of increasing economic development. With the new steps taken in aviation technologies and in the aviation industry, our country has been strengthening its position in civil aviation. All these factors enable the sustainable growth affecting our potential in the future in addition to the development of our civil aviation. Yet, these are not sufficient alone as the main component allowing the sustainable growth of our aviation is the effective utilization of our human resources. If our country utilizes its potential properly, it will make its mark on greater achievements. We are aware of the fact, that as much as it is a useful area of interest and an occupation particularly for our youth, a generation with such interest will be the greatest and most critical assurance of the aviation industry. As the Director General of Civil Aviation, I advise parents to direct their children, whether their daughters or sons toward aviation starting from the sportive, amateur and cultural activities of aviation. 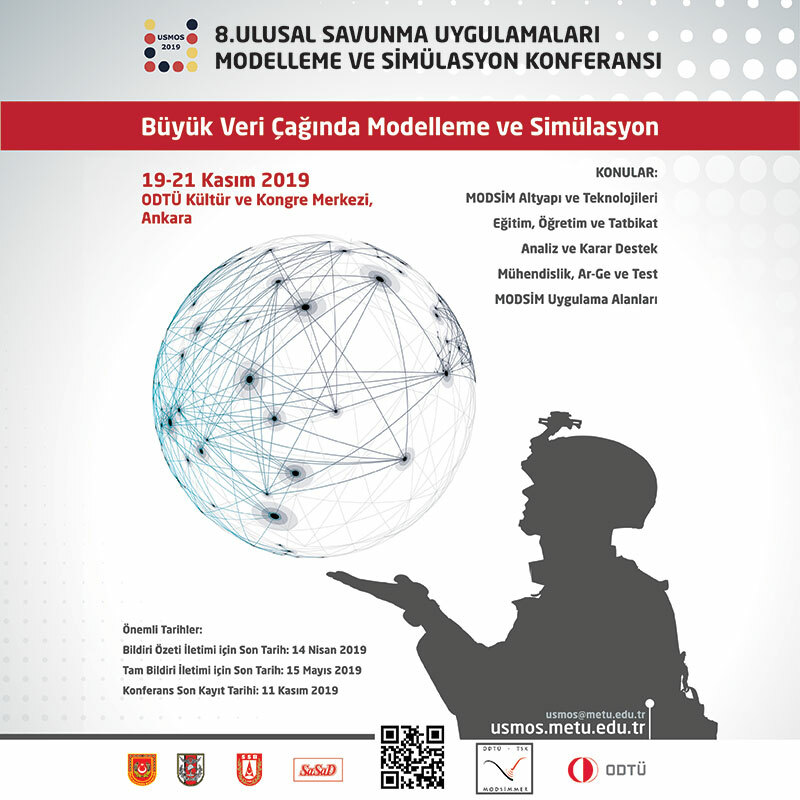 I believe that intellectual activities such as commercial fair events and conferences are crucial platforms toward achieving the target with our great leader Atatürk’s motto “the Future is in the Skies’’. I invite all of our citizens, ranging from the age of 7 to 70 to take part in such activities that gather major figures of Turkish and the aviation society worldwide, in order to become exposed to aviation, to learn and find answers to their questions.